The dive spots in El Nido are spread in the Bacuit Bay, an impressive combination of limestone and rock formation in the South China Sea. The distance from El Nido town is between 15 and 60 minutes. Slops, sandy patches, coral reef, walls, tunnels and caves are the dive site’s topology. 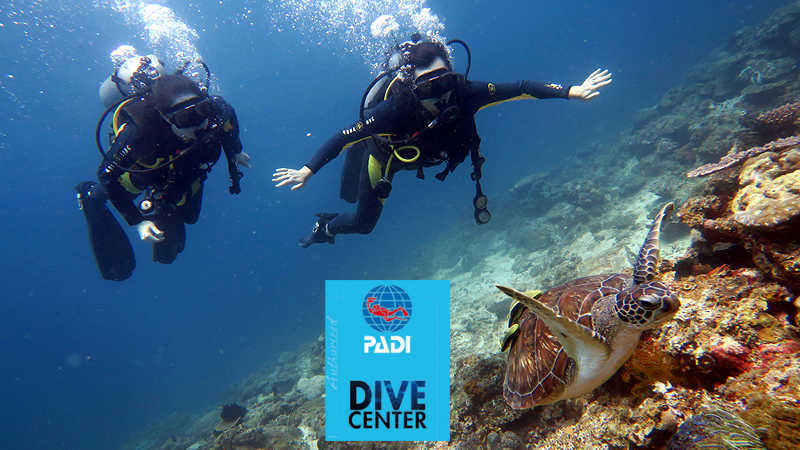 The environment can’t be better both underwater and on the surface, with more than 40 islands and more than 16 dive sites to explore with our diving daily trips or just taking a PADI course. 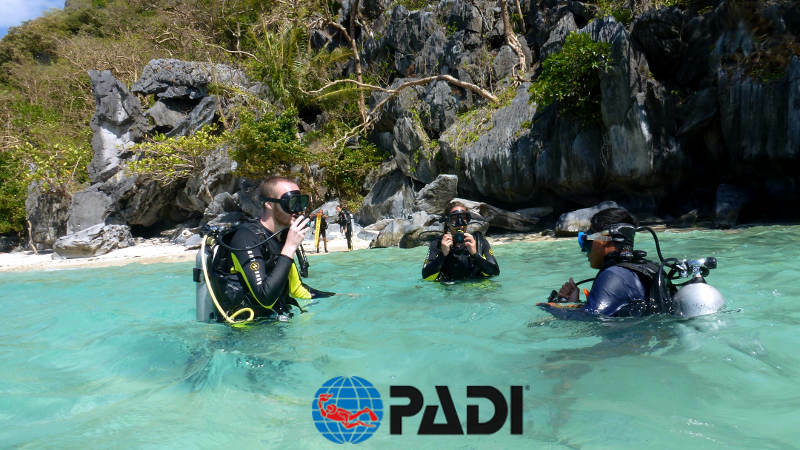 Due the sea conditions described besides, the best months for scuba diving in El Nido are from April to June, when waters are calm, visibility reaches its maximum peak, and temperature is ideal to dive even with a rashguard or shorty. Read more about individual dive sites of El Nido. It oscillates between 22°C to 33°C during the year, being the coolest temperature in the months of January and February, and the hottest and ideal for diving between the months of April to June. Then it decreases again starting the cycle in the beginning of the year. We totally recommend a minimum of 3mm. long wetsuit. It can vary from 3 meters to 30 meters. As the plankton season comes, are the months of January and February the ones with 3 to 10 meters visibility, then from March to June it increases from 10 to 30 meters, where the months of April to June the visibility reaches its best peak. From July until December visibility decrease again from 30 to 10 meters. It varies depending on the tidal conditions and differ in every dive site. Currents are usually very manageable both underwater and on the surface.